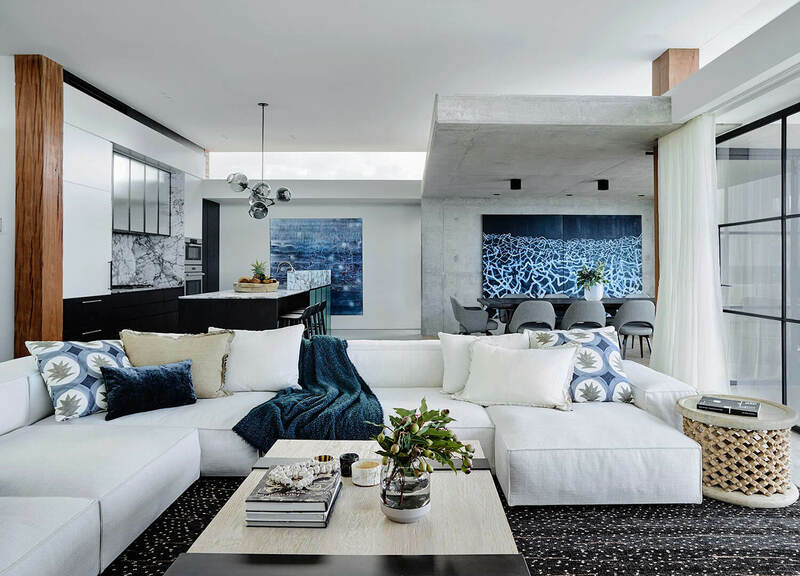 Decus Interiors delivers a surprisingly urban beach house that merges seaside accents with a decorative glamour and shows us that there’s room to re-interpret what coastal living is all about. 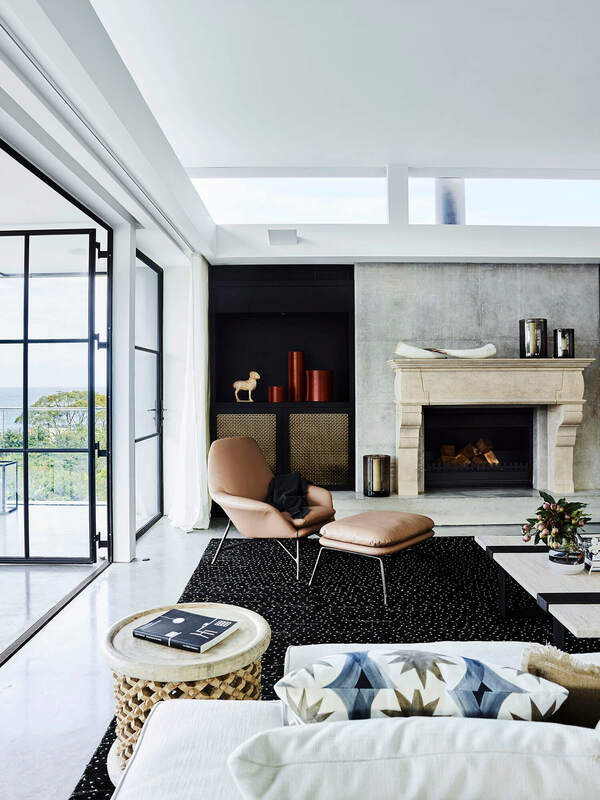 Often, there is a typical style expected of a beachside home, however, Killcare House nestled in the Bouddi National Park on the New South Wales coastline turns those expectations on its head. 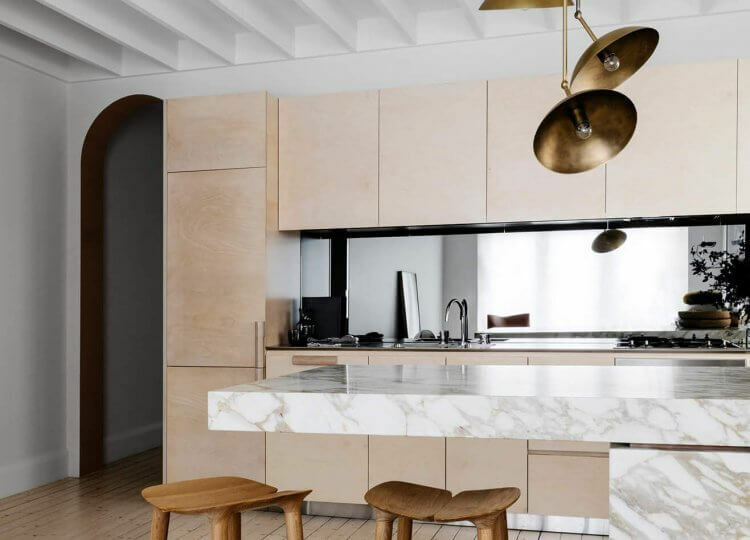 Seeking something away from their city home and ideal for entertaining, the owners sought a design vision by Decus Interiors that would honour a finer level of European detailing. The result? 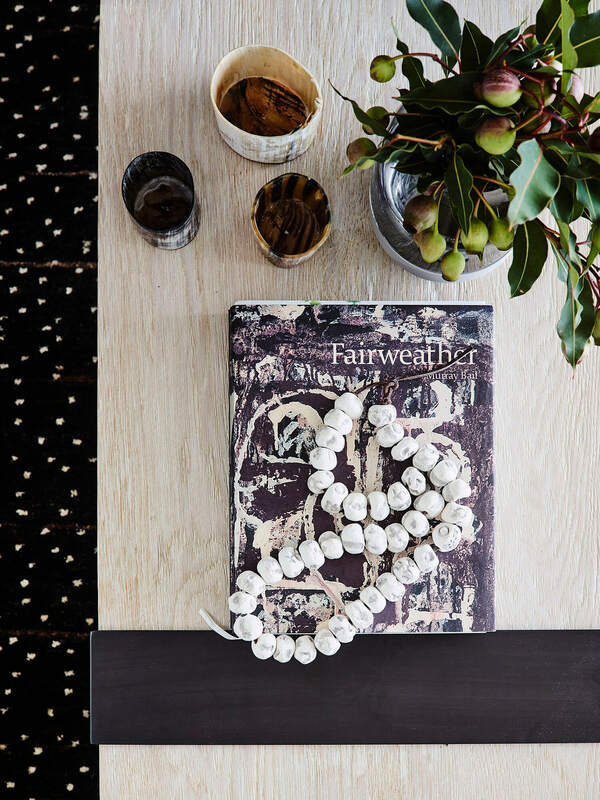 A sophisticated and avant-garde beach house that still embodies a sense of relaxed, barefoot elegance. 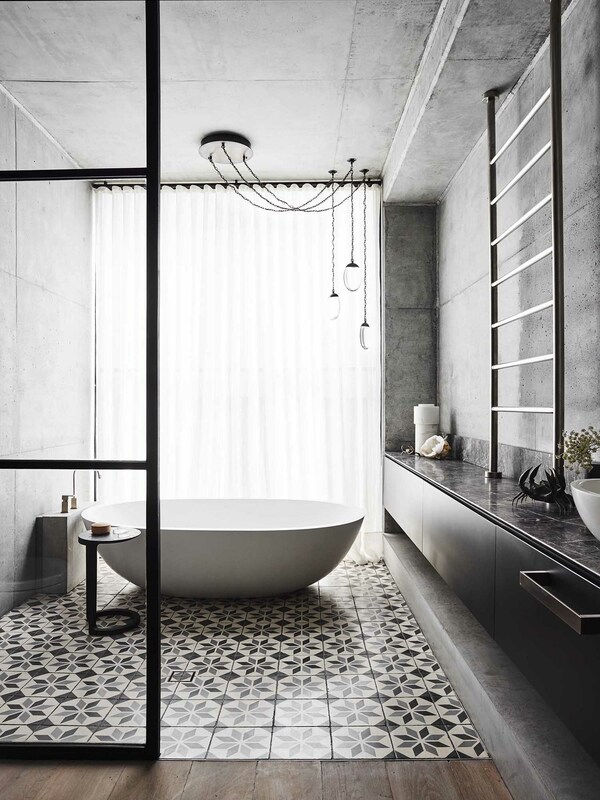 A rich, dark colour scheme defines the intimate atmosphere of the home. 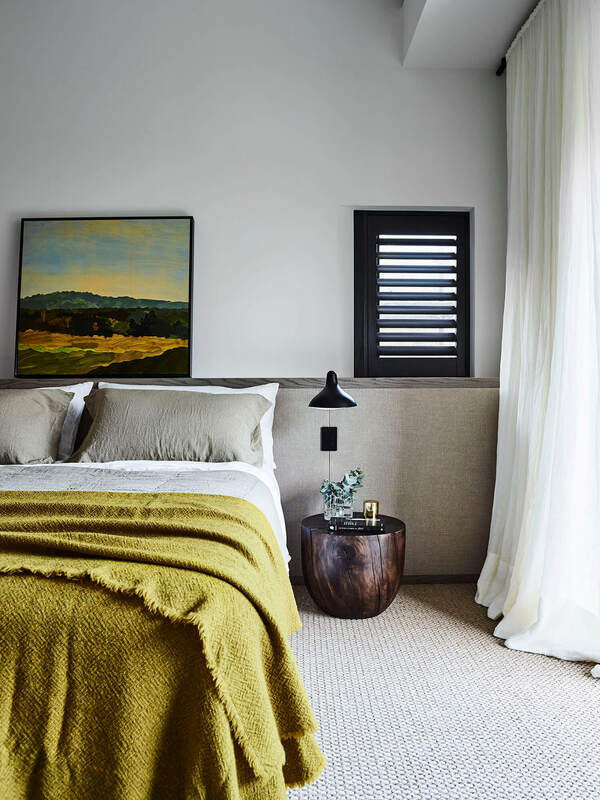 Dark teals, golds and blacks evoke a European feel and contrast beautifully from the typical white and beige palette that makes up the beach house profile. 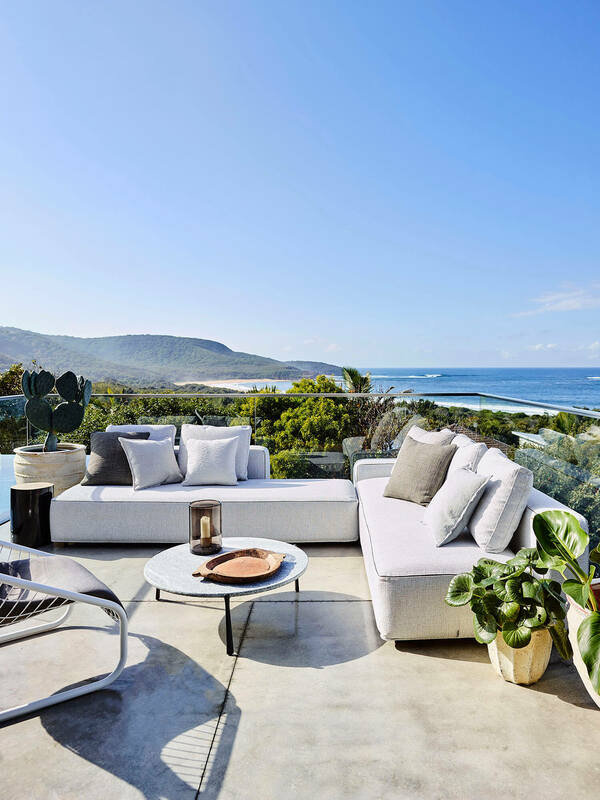 From the living area, a direct view of the beach sets the tone, reminding us of the surrounding natural beauty that this home is built around. Natural light is a consistent feature throughout the home with generous amounts of it illuminating every space of the house. 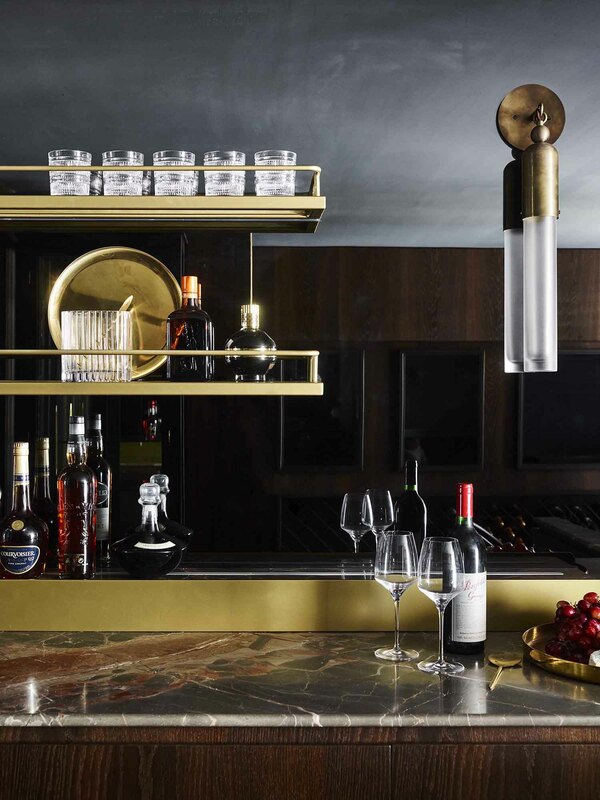 Behind a hidden door, you will find a well-stocked speakeasy bar with all entertaining necessities. 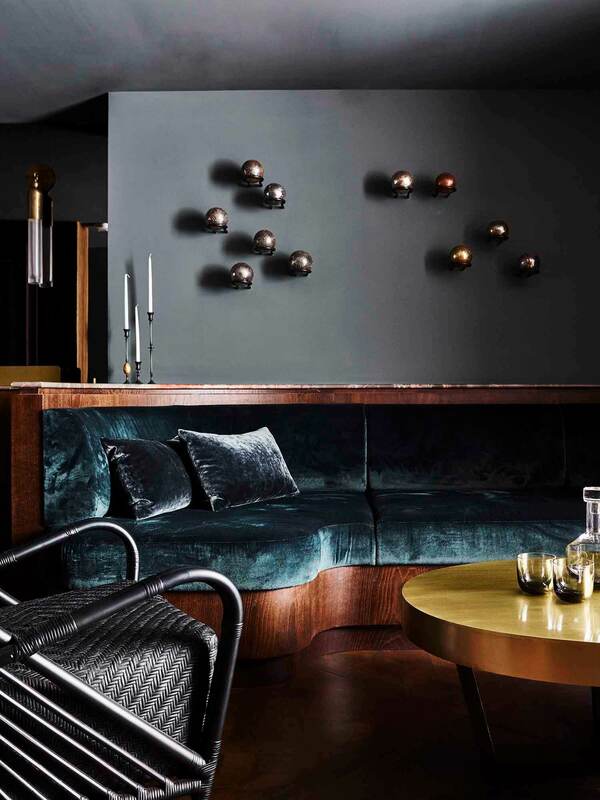 A plush velvet banquette and a private cellar complete with Tassel 1 sconce lamp combine to make a welcoming and accommodating cocktail area that aims to delight both guests and the owners themselves. Adjacent to the living area, Calcutta marble combined with artworks by Tim Summerton creates a contemporary, modern dining experience with views of the beach continuing on from the living area. 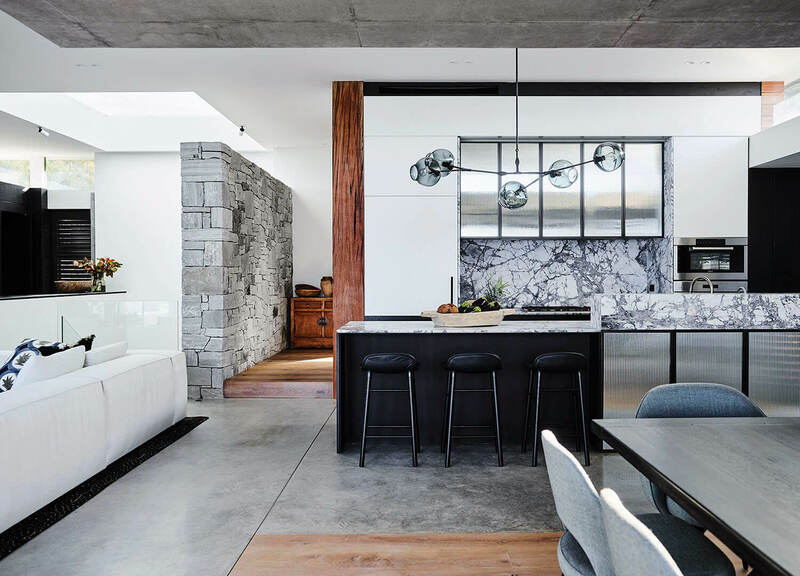 A concrete canopy from the ceiling which divides the dining section from the kitchen adds spatial personality and dimension. Furthermore, the stone brick wall which runs alongside the left of the kitchen adds a rustic twist, suggesting a layered and multi-faceted approach by Decus. 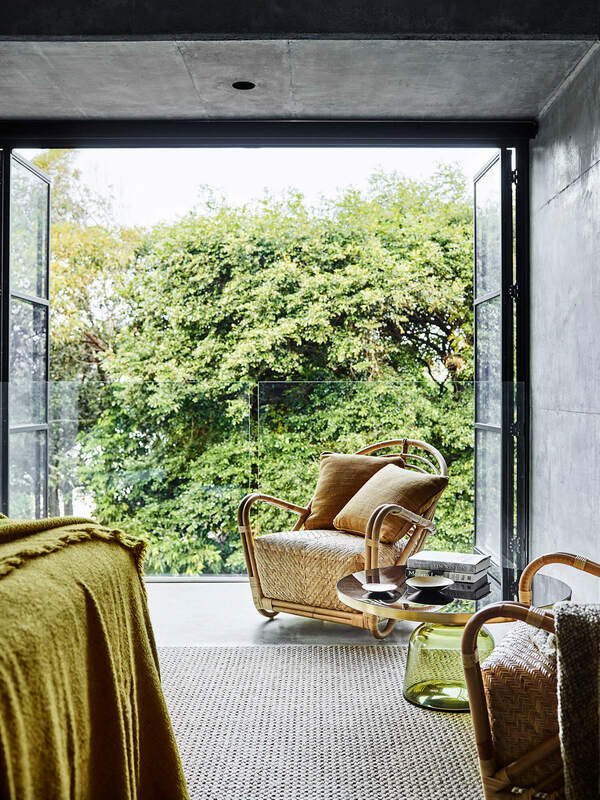 Upon heading upstairs, a bedroom with glass doors opens to a lush, green view over the treetops, serving to remind us of the locale once again. 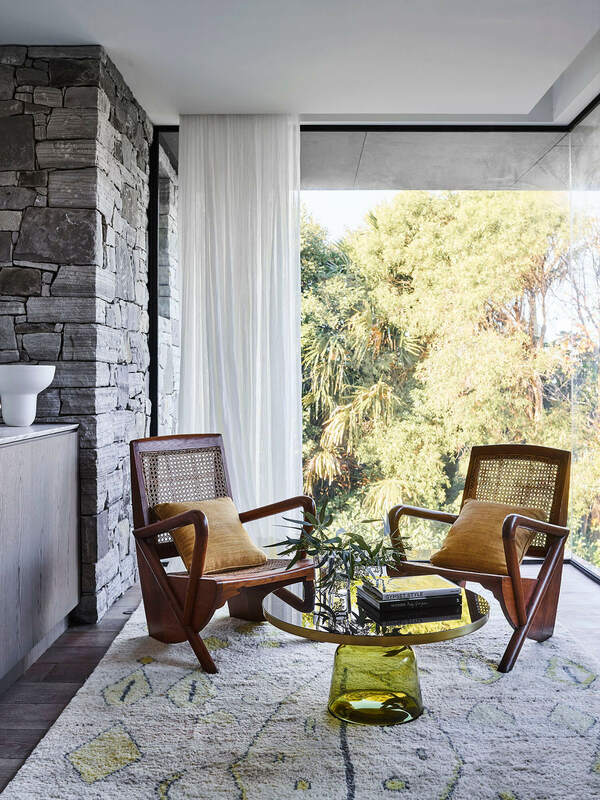 A well-considered selection of rattan chairs, wooden side tables and high-pile rugs encourage a restful and comforting environment. 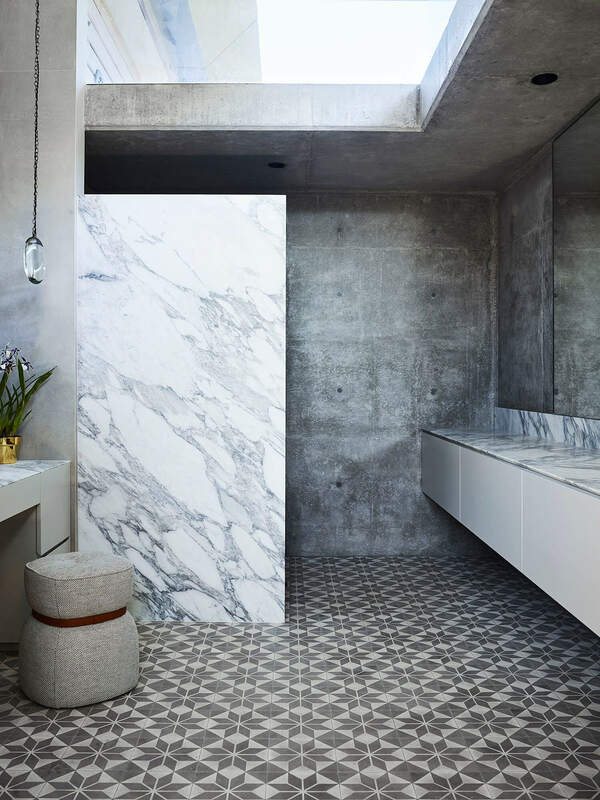 Bathrooms feature concrete, tiles and marble additions that echo the materiality downstairs. 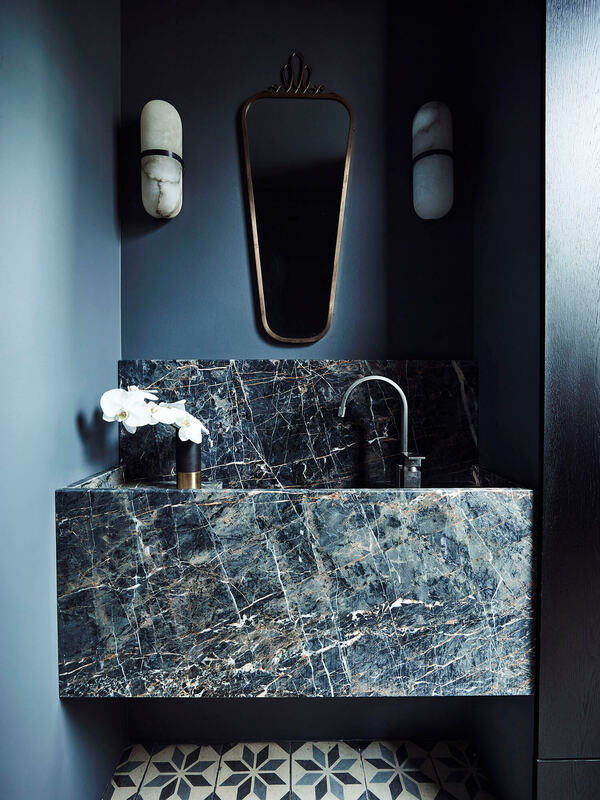 Likewise, the colours of the home- which mostly are ruled by notes of dark teals, golds and blacks – are found upstairs respectively. 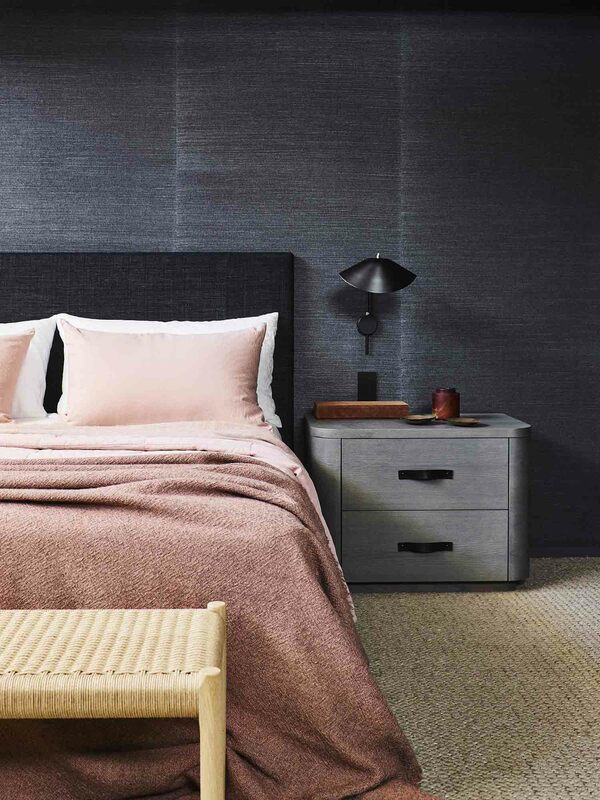 This continued palette brings about a united style that ties this individual home together. What results from going against the grain can sometimes be something surprisingly workable. A beach house reimagined? We think so. 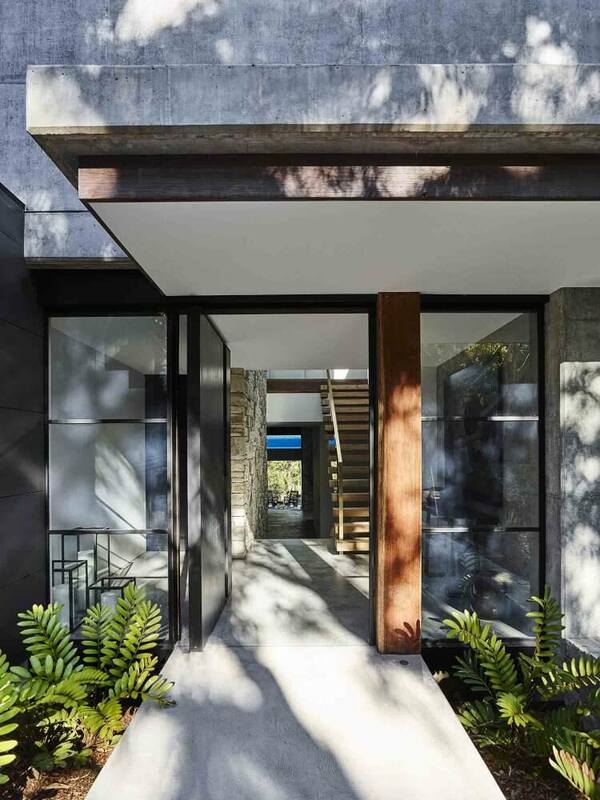 The post Killcare House by Decus Interiors appeared first on Est Living Free Digital Design Magazine.